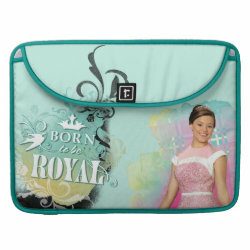 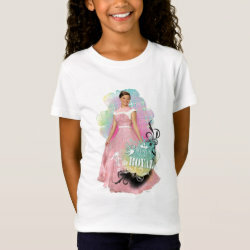 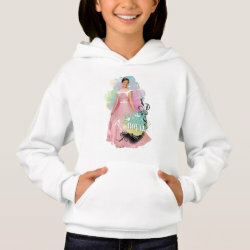 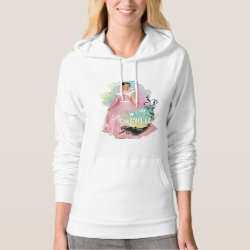 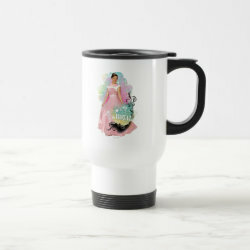 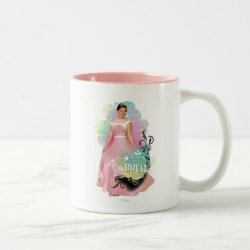 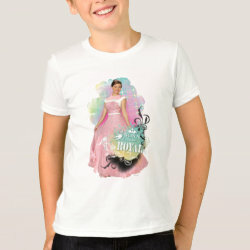 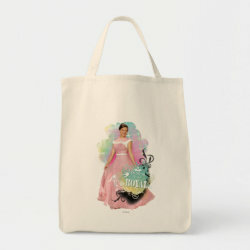 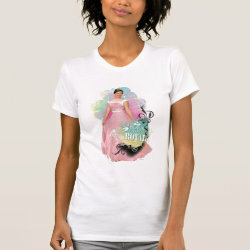 Princess Audrey (daughter of Aurora and Prince Phillip from Sleeping Beauty) is featured in this officially licensed design from Disney's Descendants. 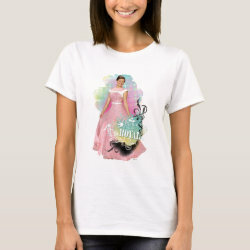 Audrey is wearing a beautiful pink gown. 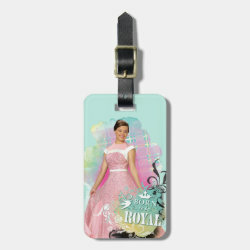 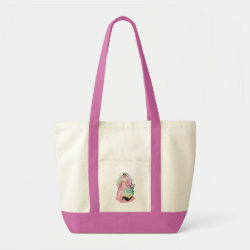 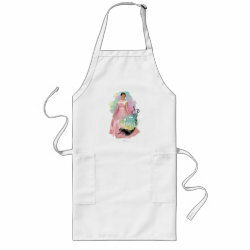 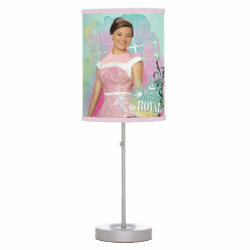 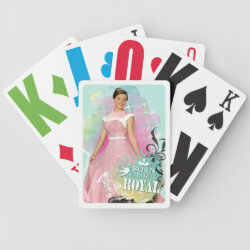 She stands before a lime green background with pretty pastel plaid pattern. 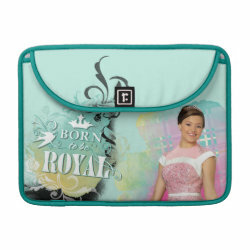 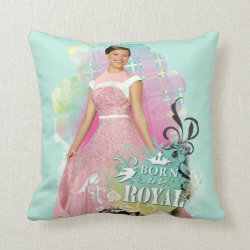 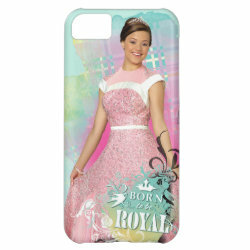 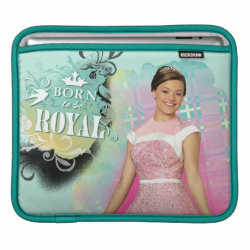 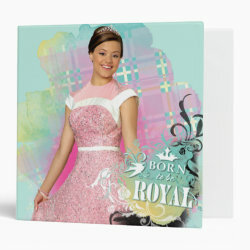 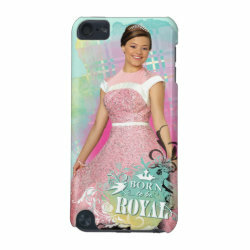 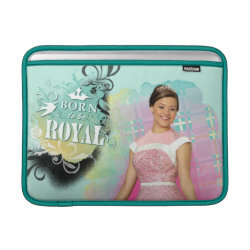 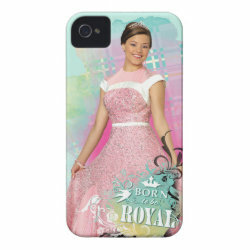 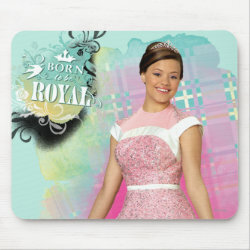 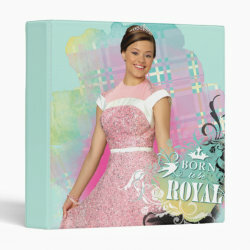 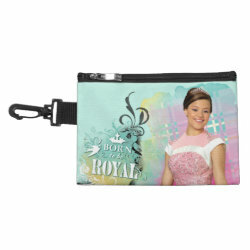 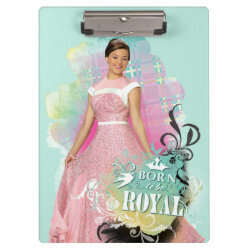 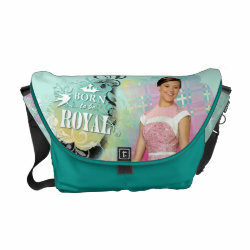 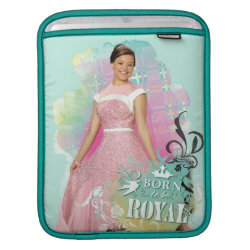 She is captioned with the slogan "Born to be Royal".